你当前位置：首页 > 关于我们 > 关于Taobao2SG > Taobao2SG -Reliable Freight Forwarding Service 当前汇率：Please call 88130282 to check the latest exchange rate. Greetings from Taobao2SG.com, a professional freight service provider based in Singapore . Do you import goods from China for your own use or to resell in Singapore? Reliable and discount freight forwarding services for Singapore clients are what we specialize. We specialize in professional freight forwarding services from China to Singapore at the lowest shipping rate. Everyday we reliably ship voluminous freight from our China warehouse to various clients in Singapore. To import commodities directly from China into Singapore is extremely easy with our professional freight forwarding services. All you need to do is to order merchandise directly from your suppliers in China, such as online vendors at Taobao, Alibaba, or 1688.com, and then have your Chinese vendors to deliver your orders to our China warehouses in Guangzhou. Then we will help you to save shipping cost by effectively consolidating your freight before forwarding them to Singapore. We also provide servies ("pay-for-you" 代付款) to clients who are not familiar with the Chinese Alipay payment system (支付宝). Upon receiving and consolidating goods on your behalf at our warehouse, we will notify you via text message (using Wechat) and process required paperwork for you to clear the regulations of China Customs and Singapore Customs. With our professional freight services, you can easily shop from any China online e-commerce platforms or even manage a successful international business without getting caught up in the overwhelming logistics of importing goods from overseas. We promise that your valuable merchandise via sea or air freight will be reliably delivered to Singapore. Our web-based parcel tracking system allows clients to conveniently track shipping status of their orders online 24/7. Our shipping rate is the lowest in Singapore. You simply cannot find such a low shipping cost elsewhere in the market to bring your valuable freight from China into Singapore. Please register your user account to find further information regarding our services. Our customer service can be reached at 88130282 via phone call, whatsapp or Wechat. We very much appreciate your interest in our services and look forward to hearing form you. 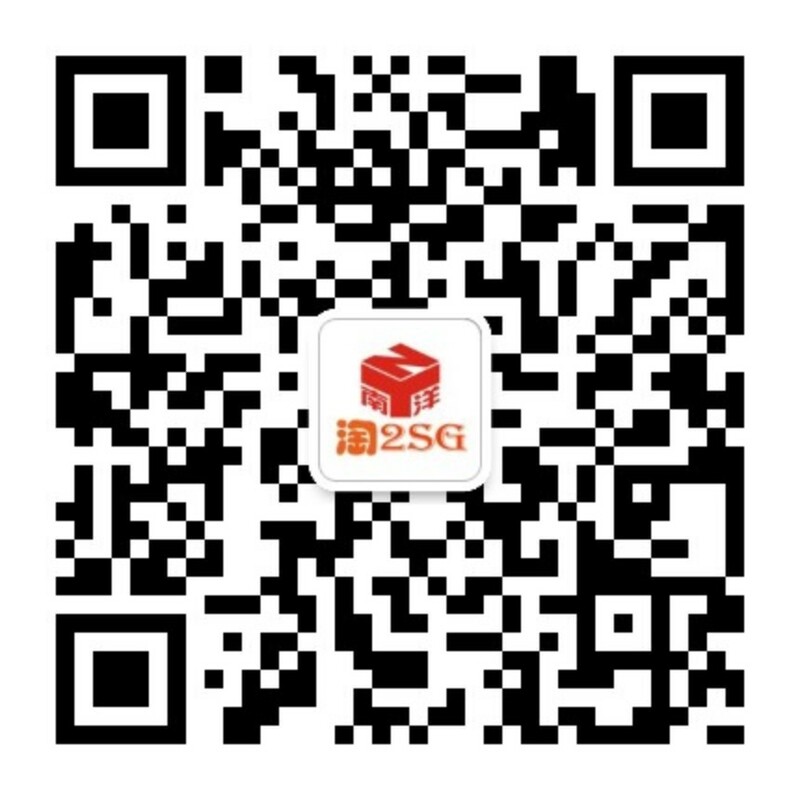 Scan the QR code above by using your WeChat app to follow Taobao2SG and receive our latest promotion code (Wechat ID: 南洋集运通).